Following the successful launch of the EP10 planetary product range at the Hillhead Exhibition in June, Habasit Rossi has announced that it is now stocking components and assembling the product at its Coventry facility. The investment in assembly and stock has been made to offer customers quick deliveries of this planetary range. Additional application customisation, if necessary, is also being engineered and manufactured in the UK. The EP10 planetary range, currently consists of 9 sizes with a torque capacity to 21,000Nm and the range will be extended by a further 14 sizes with a torque capacity of 300,000Nm in early 2013. The benefits of planetary units such as efficiency, space saving and compactness, high torque capacity or large ratios are being appreciated by more engineers and designers. 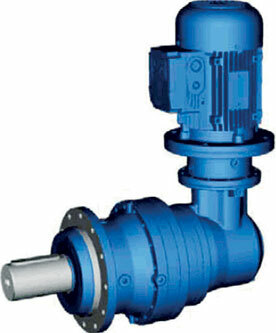 Units are available with numerous inputdesigns including electric motor and hydraulic and free shaft.